I'm kind of in love with this word. I've got pride issues I struggle with, particularly in regards to this word. I'm pridefully frugal. Even so much so that if I find someone got something cheaper or is living more frugally an ugly green jealously monster jumps out before me and inside I throw a temper tantrum: "But I wanted to be the cheapest one of all!!!!!" A poison apples recipe comes into my possession and it's about all I can bare to rip it up before reading it. Anyways...Enough of my awkward ramblings. It is not a punishment nor should you ever feel shame for saving your money for other things of value and for future family needs. In fact doing so should make you have feelings of security, preparedness, freedom, independence, and peace. But, perhaps you should start feeling the shameful punishment of guilt for not saving the money needed to provide for your family (a family consists of 1 or more persons. No one is excluded). I think it's important for people to start getting uncomfortable with excessive spending. Having to change your attitude to better reflect this basically comes down to simply looking at the larger future picture and debating whether or not that money could be better used going towards other things: retirement plan, rainy day savings, BILLS, special occasions, gifts, charitable donations, groceries etc. It's really about justifying in your mind the act of NOT spending. (Do this with your spouse if you have one.) Money has no value if it is only kept and never used, but you must first establish what the best uses are for it. Of course there are standard uses such as bills and savings, but what about the fun? This is a very individualized step. If you can cut down on other spendings that don't matter to you as much, then you can put that money towards what does. If you love to eat out at nice restaurants, do it! Just make sure you cut down in other areas, so you can actually afford to do that. Just as an example - my husband and I love going on an anniversary surprise trip every year, but we really don't care about gifts or store bought cards as much. So, we don't buy each other Birthday, Christmas, or any sort of special occasion gifts, we pretty well just write heartfelt letters with perhaps an inexpensive treat or two. We also have future dreams that will cost money so we're saving up on that as well whilst cutting down in other areas. This 5 love languages quiz may help shed light on what's important to you relationship wise. This is also individualized. If you don't have clear boundary lines for items beforehand you will easily fall victim to the shiny store displays. Your rules also will start to set you into habits. For instance - I only buy clothes if they're on sale. My eyes only go where a sale sign is shown; I don't even notice anything else. Tops have to be $10 or less and pants $25 or less. (There may be 5 exceptions to this in my closet). I ask myself 'do I LOVE this', or 'will I regret not buying it a month down the road?' These rules have helped me out a lot. Sometimes I get too wrapped up in frugality that I don't look at the value behind the $ sign. 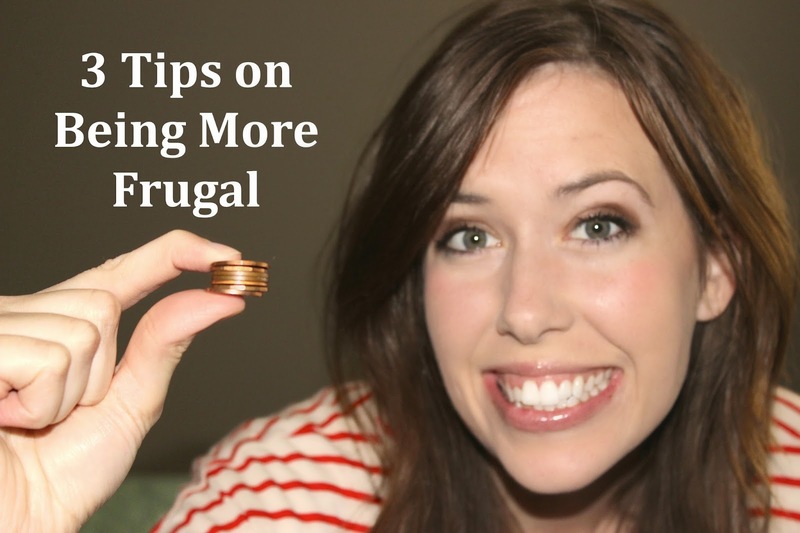 There is extremes to frugality that can make you a little cooky. I struggle with with a little too much guilt at times and it's not only worrisome, but completely unnecessary. If you have a good savings stored and are not behind on any payments and such you really need to breathe and relax, expenses are ok even if they aren't a need. I Remember when we were first married and the hubs wanted to buy a brand new lawn mower and I about had a heart-attack, "why would we ever buy a new lawn mower?!" He brought me to sane thinking when he said "You realize we're going to have a lawn for the rest of our lives right?" I breathed and realized that buying new was probably worth it so we didn't have to borrow forever or worry about breakdowns with used ones. PS this was a simple push along mower I had the concerns about...like I said you can get cooky.